Your contribution goes a long way to help us build relationships across movements, cultures and great distances. We will send you a package of 10 postcards of recent murals. We will send you a package of 10 postcards of recent murals and a T-Shirt. 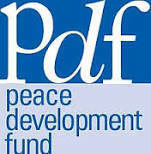 Through our Fiscal Sponsor "The Peace and Development Fund" we are able to accept Tax Deductible PayPal and Credit Card donations. Click on the link below to be taken to PayPal. You will note on that page that the organization listed will appear as “Peace Development Fund/Break the Silence Mural Project” and this allows your gift to be properly coded to our account.